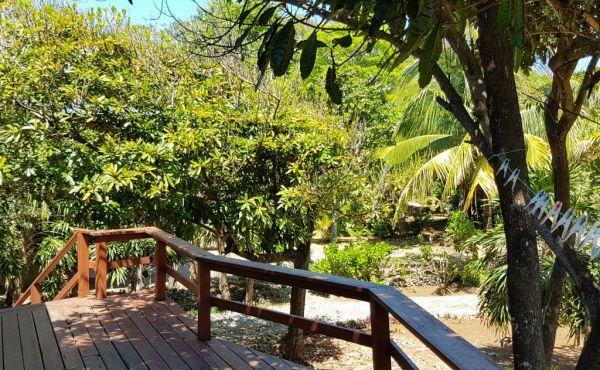 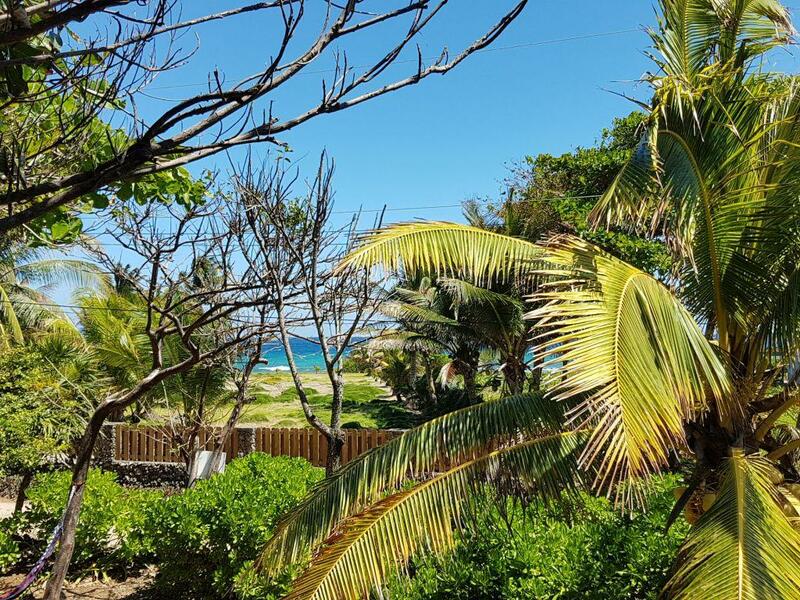 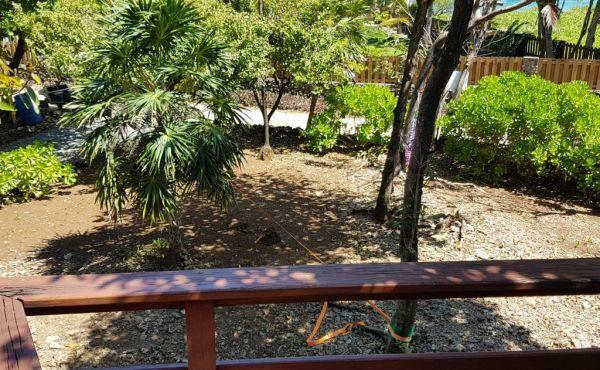 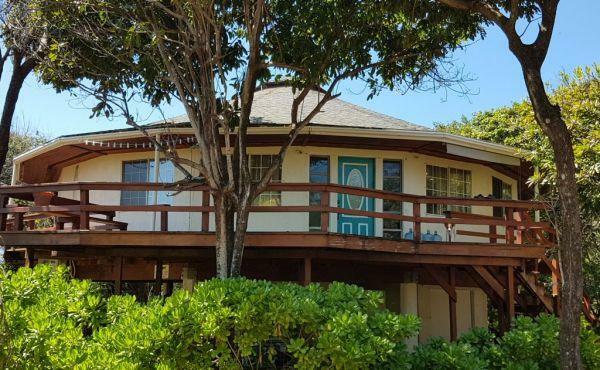 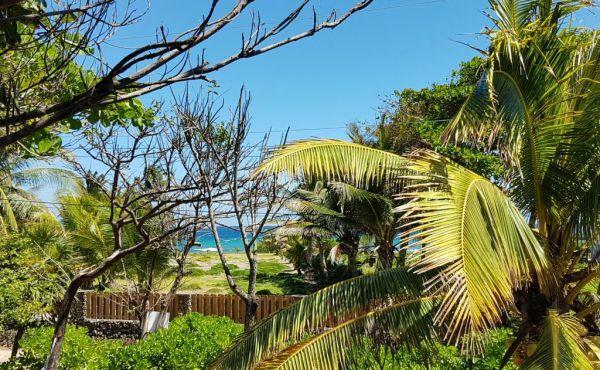 Beautiful rare stucco home available in the Red Cliff area, about a 10-minute golf cart ride down the Tradewind beach road into Utila town and all the dive shops, stores, restaurants and bars. 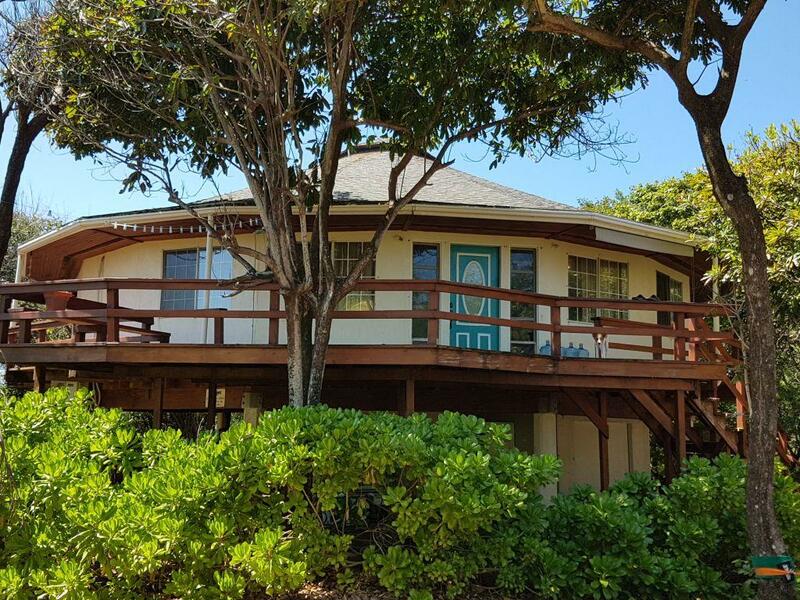 The home is situated on a large, wooded lot with views of Paradise Cove from the deck and large windows facing the front of the house. 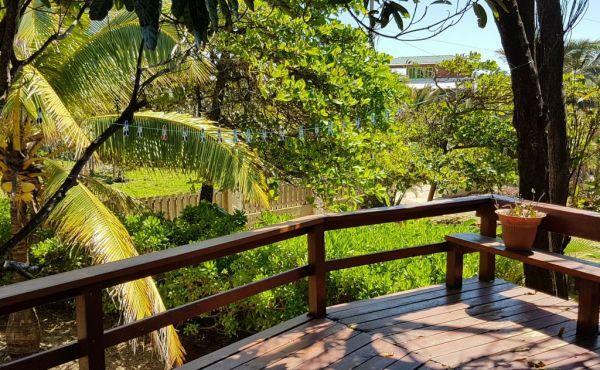 There is a wrap around deck with the front deck extended, allowing for a cozy seating area and room for a large outdoor dining area plus grill. 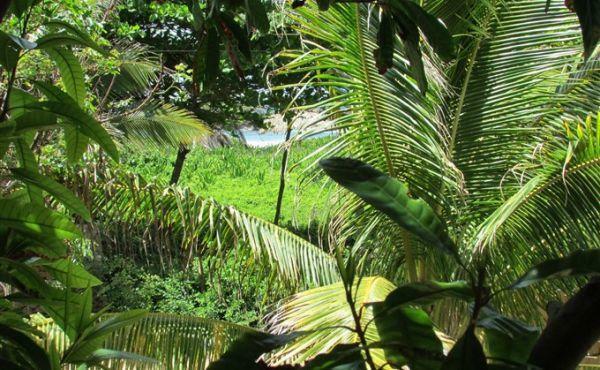 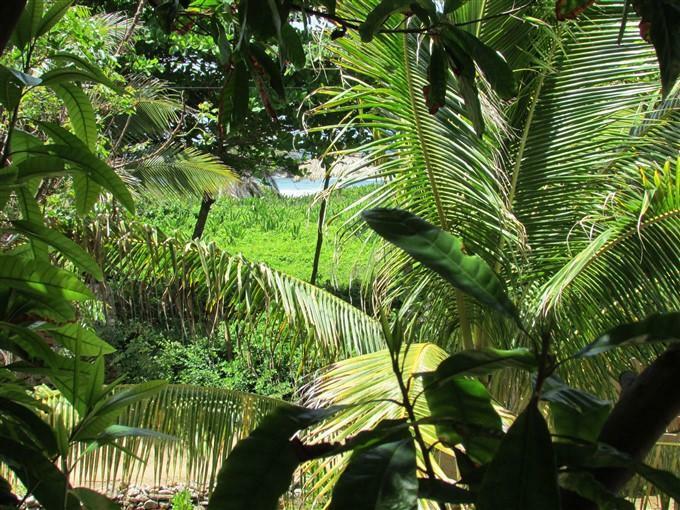 Extensive plantings and indigenous trees provide ample shade and protection from the east wind and ocean spray. 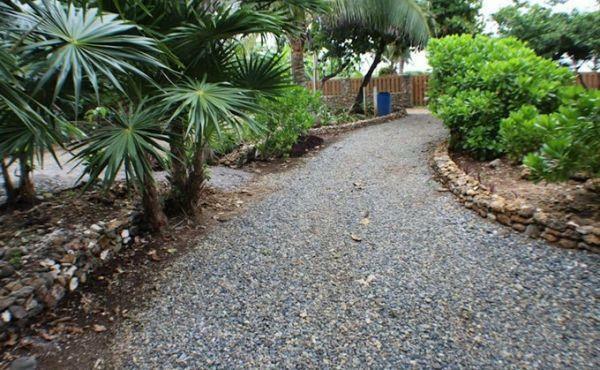 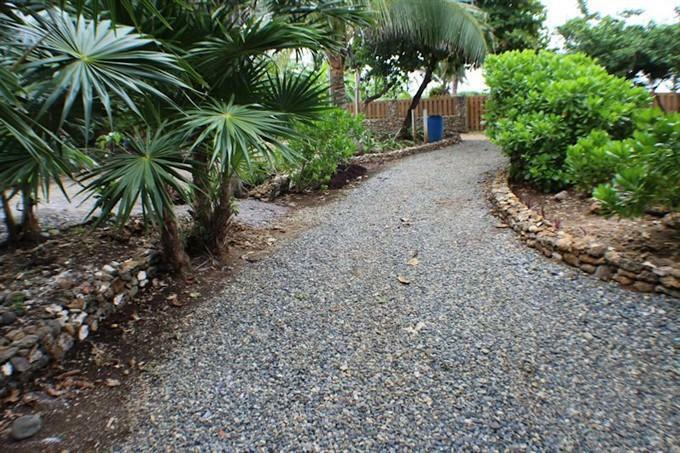 The curving drive entry has Roatan blue gravel and is lined with a stacked rock border. 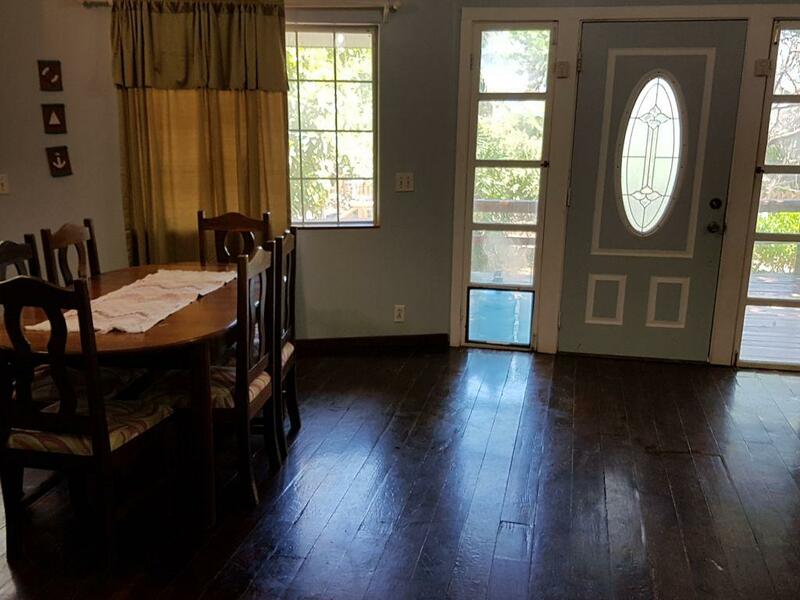 With 1,700 sq. 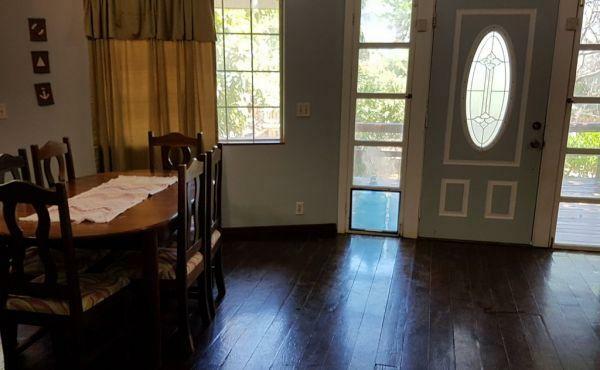 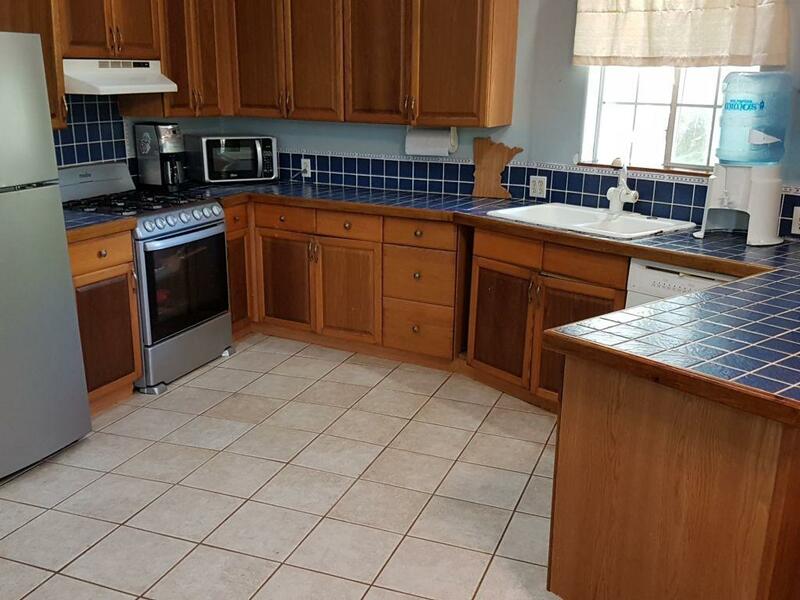 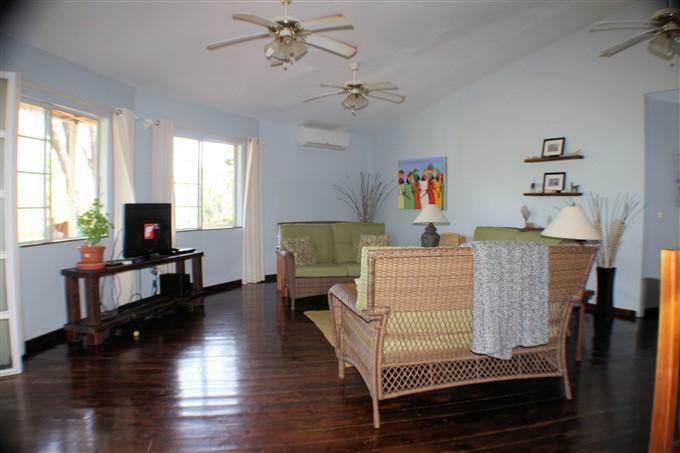 ft. of space, the home is airy, spacious, and open for entertaining. 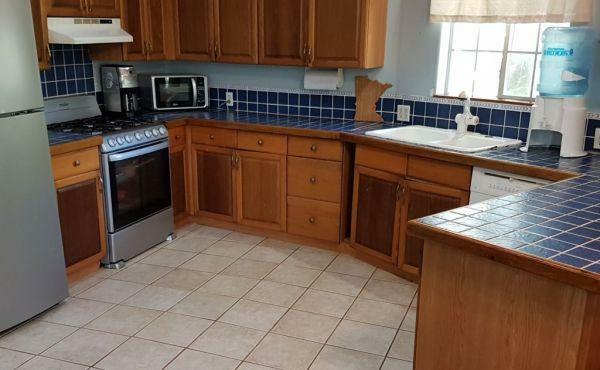 On entry, you'll find soaring ceilings over the large living and dining area, and the kitchen has ample storage both above and below the attractive, tiled kitchen counter top. 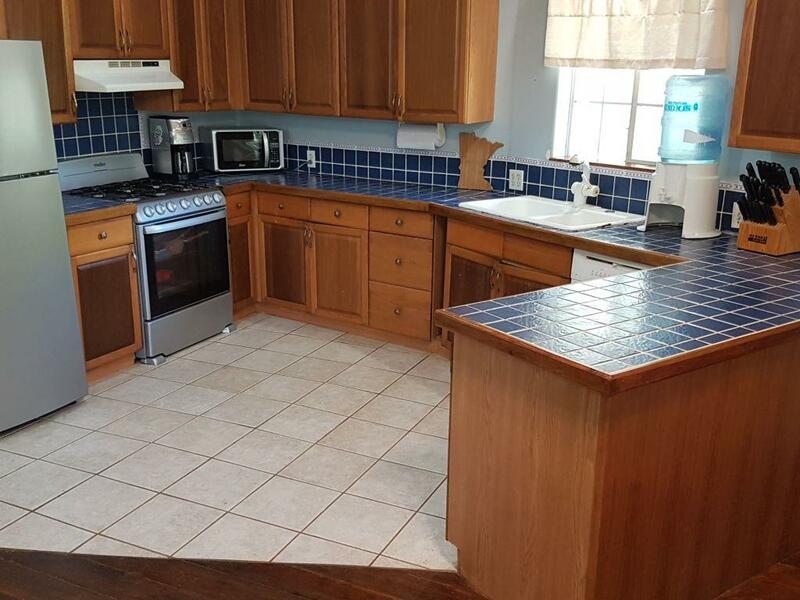 A laundry storage room is located in the center of the home. 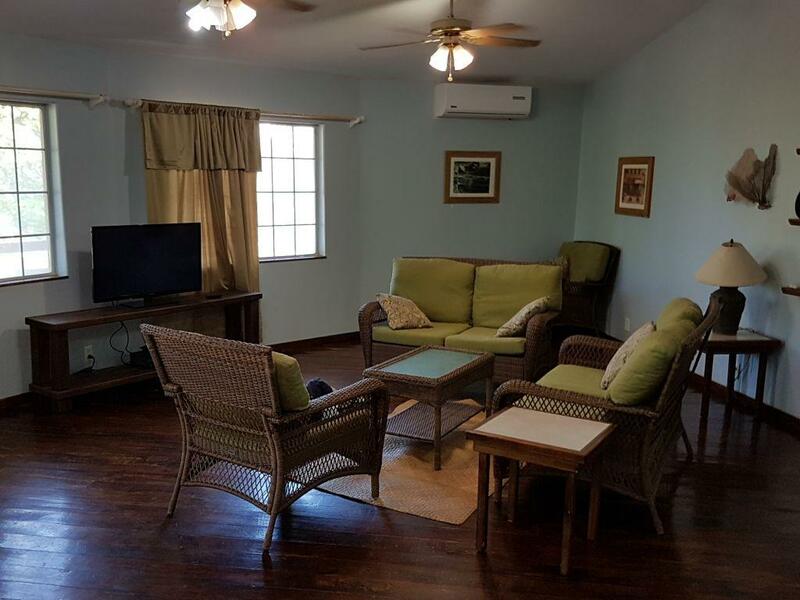 All three bedrooms are large, with high ceilings, sliding glass doors, ample closet storage, A/C and two have en suite baths. 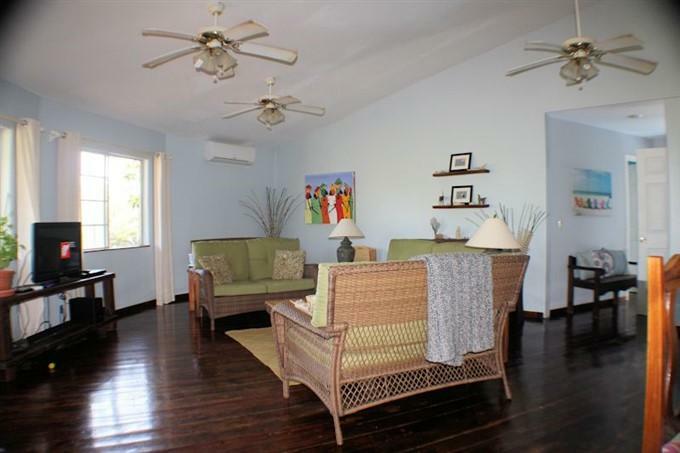 The third bath is quite large, has light provided by a skylight panel, and serves as the guest bath for the public area of the home. 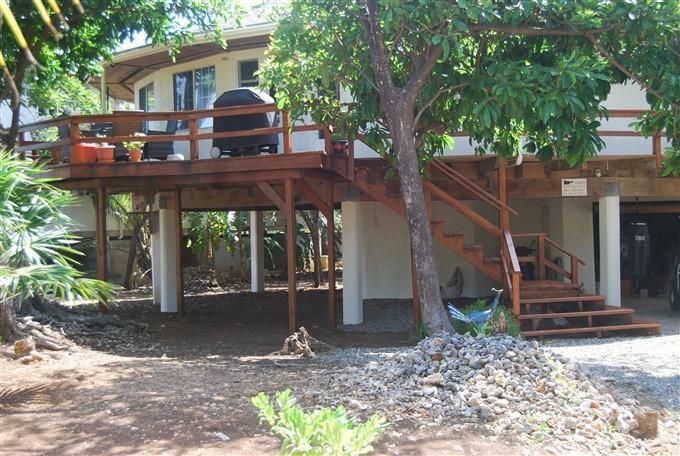 On the lower level, there is a garage/bodega with plenty of room to park a vehicle, plus storage for tools and other items. 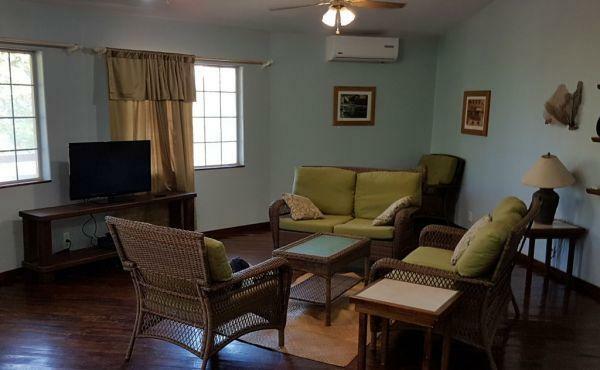 A cistern connects to the bodega. 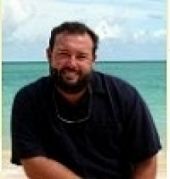 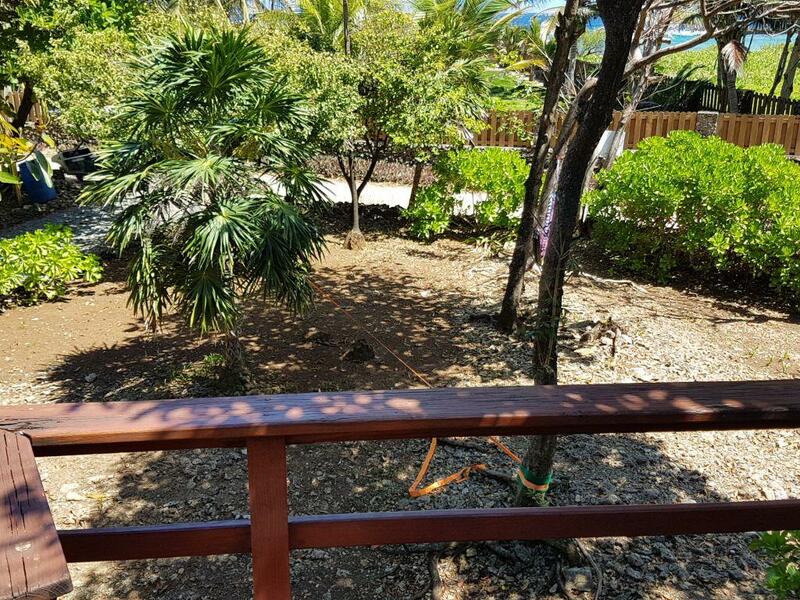 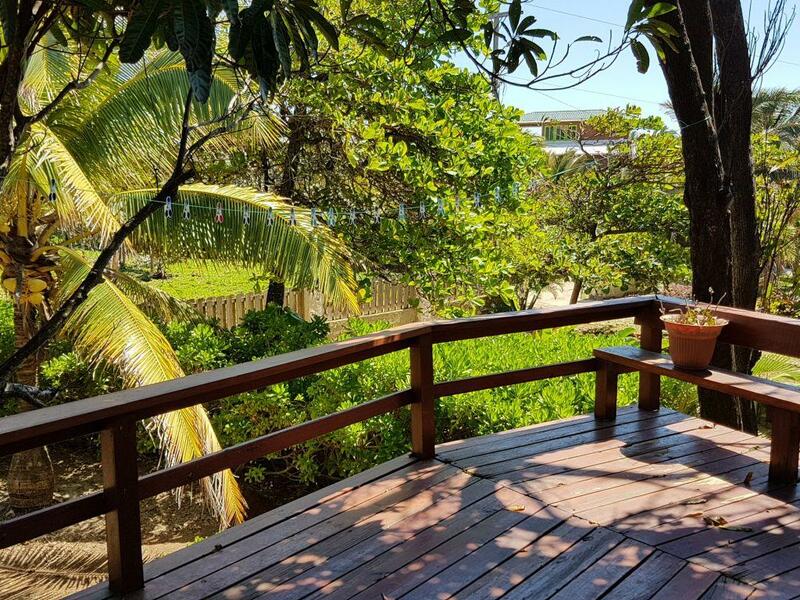 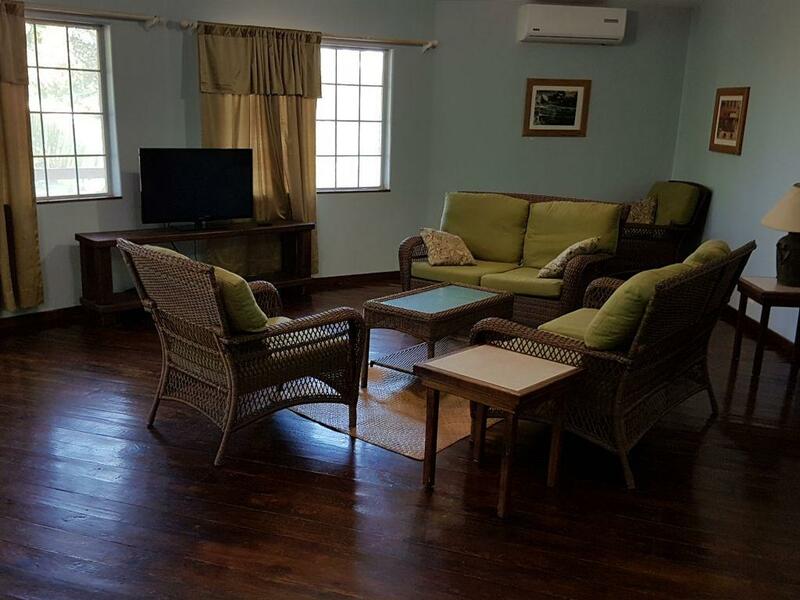 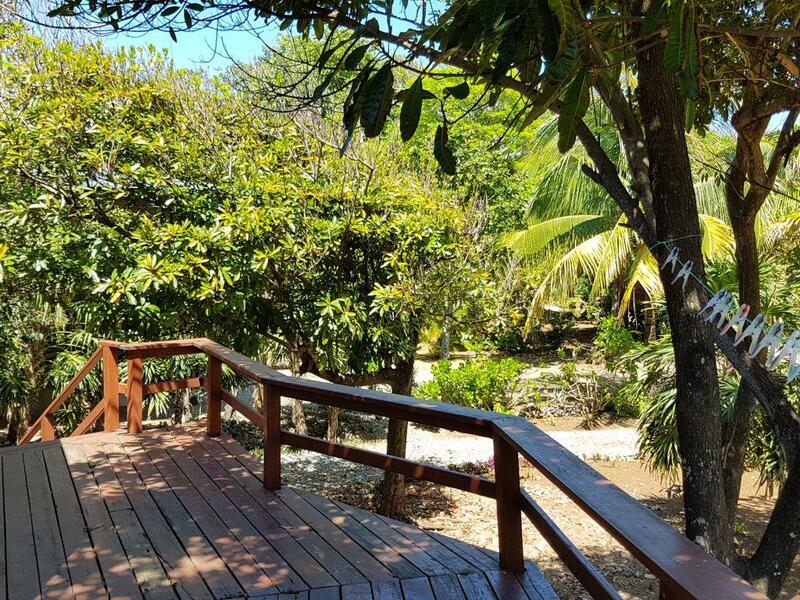 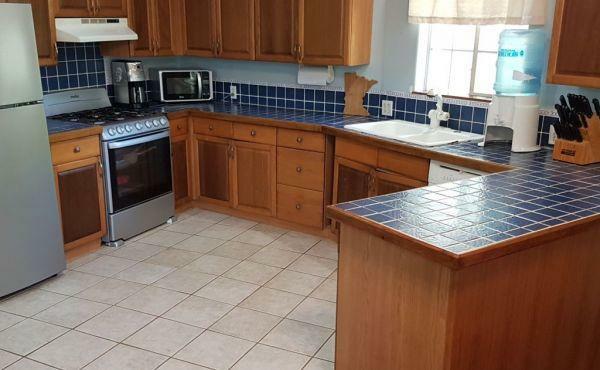 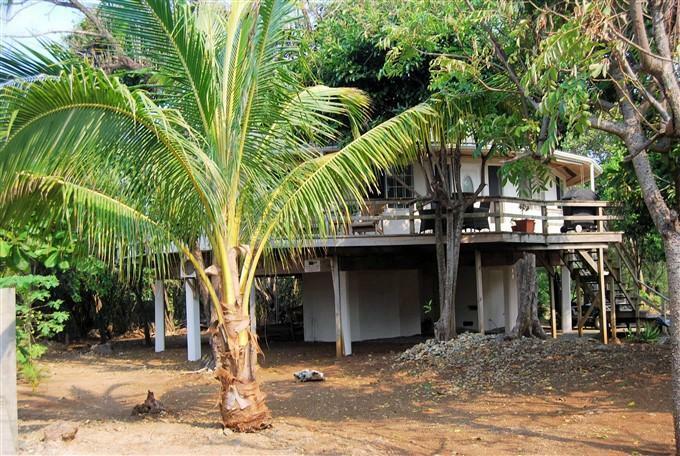 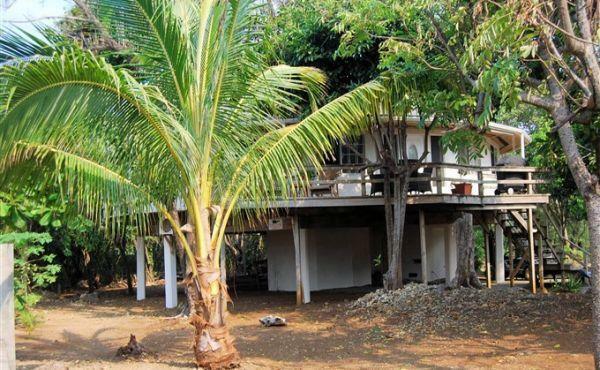 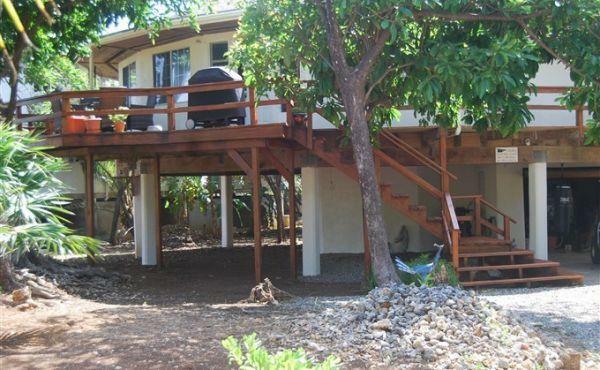 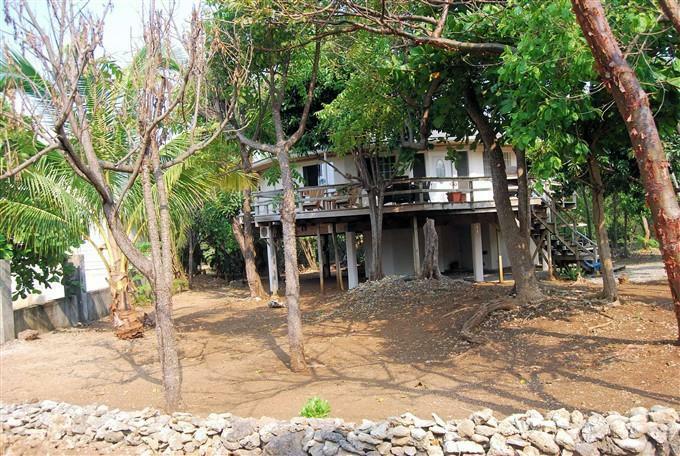 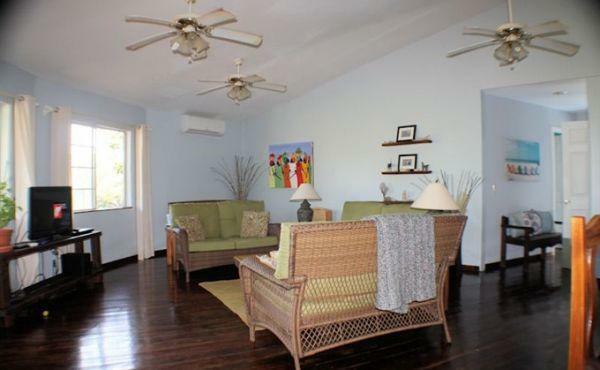 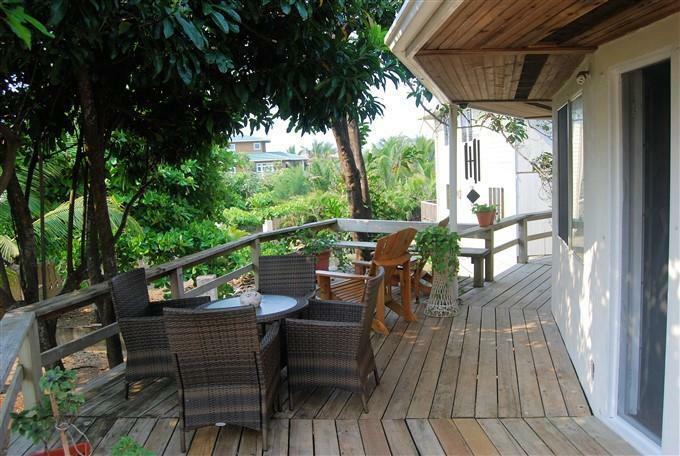 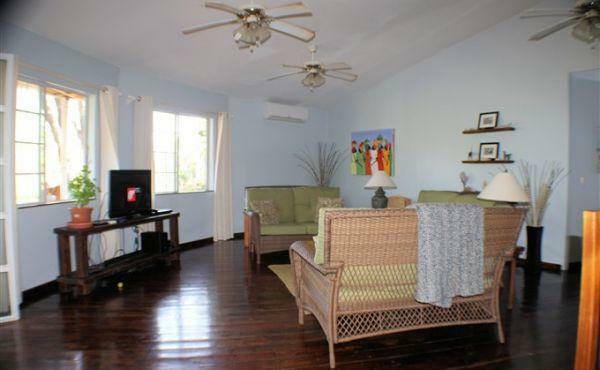 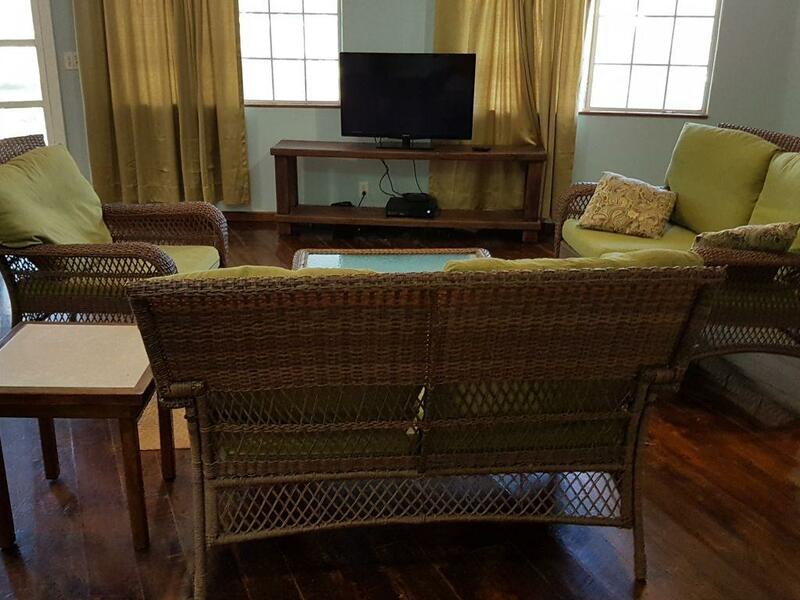 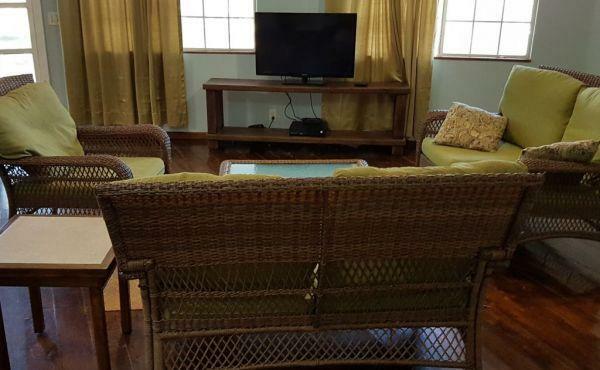 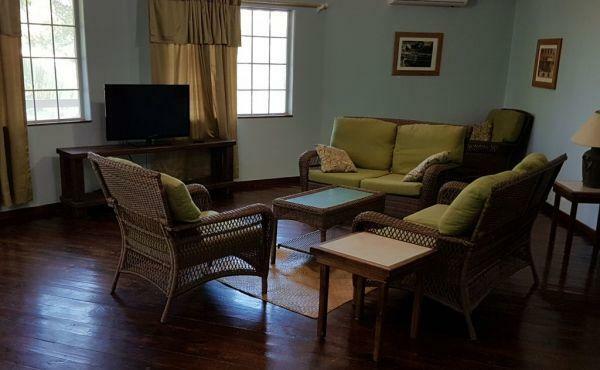 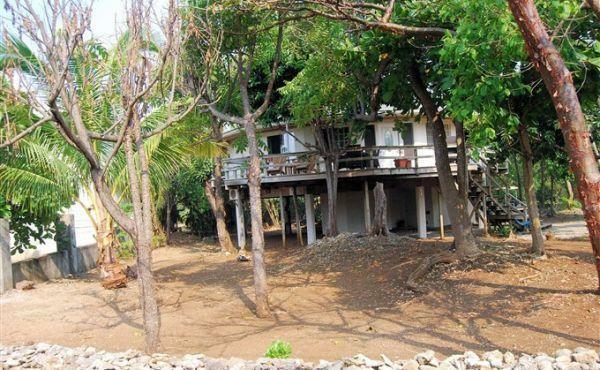 This is an excellent home both for full-time island living and as an investment rental home.